Do you suffer from Herniated Disk? Degenerative Disk Disease? Chronic Low Back Pain? Sciatica? Wanting to avoid surgery... the DRX 9000 just might be what the doctor ordered. The DRX9000 system uses a multi-factored approach for relieving disc herniation. As the DRX9000 slowly decompresses the spine, a vacuum is formed within the affected disc. This vacuum is called "negative intradiscal pressure" and relieves the disc herniation which in turn can reduce the pressure on the neighboring spinal nerves. The results are reduced pain and discomfort. This vacuum effect also draws the herniated material back into the disc, along with water and other nutrients and thus aids healing within the disc. The technology of the DRX9000 allows it to adjust the amount of traction according to the reaction of the patient's body. Under normal traction, the patient's body will sense tension as it is being pulled and react by going into spasm. To counter this spasm reaction by the patient, the DRX9000 system will cycle through a series of pulling and relaxing as the treatment is being administered. 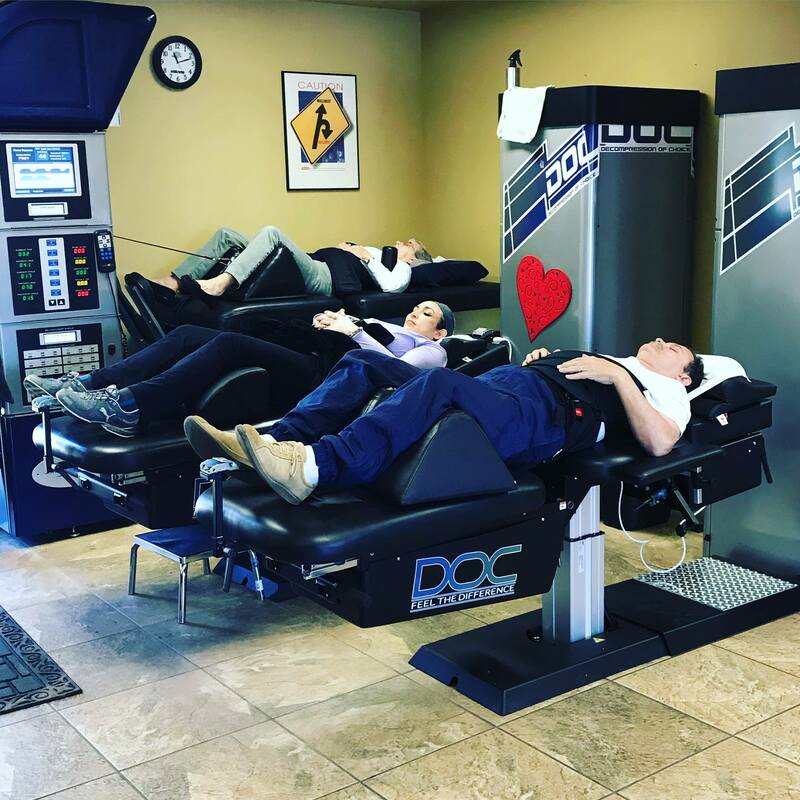 This makes the decompression treatment much more effective since the patient's body is not fighting against the pull of the machine. The DRX9000 is gaining immense popularity among healthcare professionals as an alternative to back fusion therapy and other invasive treatments. Many patients have reported good success with the system and feel it was a better solution for them rather using surgical techniques to address their lower back problems. We are committed to helping people get out of pain!!! Our care is affordable and we get results!!! We have helped thousands of people who thought they could not be helped!! !